In this post, we will look out the best Bitcoin wallet apps for ios, iphone & iPad users. which I will like to list my top 5 best Wallet apps which you can save your Bitcoin and other assets using your ios devices. today in the new or future technology, crytocurrency is becoming boom. Crytocurrency is the most easiest way to send/received, Transactions are made easily with way. you can received and send them in any where and finally exchange them to your local currency, you can see is the easiest to transact from different country. And All of this wallet to be listed, come with unique features, abilities and design, so just have a look on which one to download from our top list. the Crytocurrencies are normally fluctuating from high prices to low prices, analyst has predicted for higher price in the future. if you a Crytocurrencie enthusiasts, you just feel to join the Cryto world. having a Bitcoin wallet is most. because Bitcoin wallet is served is your store, when sending or receiving. there are many Bitcoin wallet out there, but they may not served good to you. that's why, I out listed top best to your on your ios, iphone & ipad devices. Are You Getting into cryptocurrency? Sign up with our Coinbase link Here, spend $100 and get $10 for free! Coinbase is a great place to buy, sell and store your bitcoins, etherium, Bitcoin Cash and litecoin. It lets you securely to make secure transactions without thinking of other things. Coinbase for ios, iphone, iPad, you can also manage your wallet from its website making transactions easy and more conveinent. Features include passcode protection, ability to remotely disable phone’s access to wallet in case it gets lost, price charts for popular cryptocurrencies and more. You can download Coinbase for free. Bread bitcoin wallet is a user friendly bitcoin wallet, is an easy to use and secure wallet that is suitable for both beginners and experienced users. The app uses hardware encryption to ensure all your funds are secure right on your iPhone. The app also lets you backup and restore your wallet in case you lose your device. It also offers pin and Touch ID security that will prevent anyone from accessing your wallet even if they have access to your iPhone. You can download the Bread bitcoin wallet for free. if you are looking for the best to manage your Bitcoin and Ether Wallet in the same wallet app, then Blockchain bitcoin wallet is the way to go for. It is safe and simple option that is packed with features. You can quickly create a wallet or access your existing one right after downloading the app. It comes with features like ability to have two-factor authentication for maximum security, pin security, backup and restore, currency conversions, over 25 language support, QR code support and more. You can download Blockchain Bitcoin wallet for free from the App Store. Bitcoin Wallet by Bitcoin.com. It is a full featured wallet that lets you store, buy and sell bitcoins right from one place. It comes with support for multiple languages, is open source and supports both Segwit Bitcoin (BTC) and Bitcoin Cash (BCH). You can download the Bitcoin Wallet by Bitcoin.com for free. Jaxx Blockchain Wallet is a multiple platform cryptocurrency wallet that lets you manage your digital currency on iPhone as well as on your Mac. In addition to Bitcoin it also supports Ether, Litecoin and other currencies. It also has the ability to convert and show your balance in the currency of your choice. Features include pin security, backup and restore, multi-currency support, easy to use interface and more. 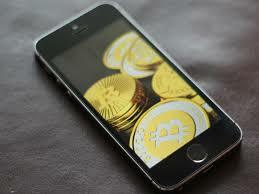 You can download this Best Bitcoin Wallet App for iPhone for free. So this is the end, we have looked out the best Bitcoin wallet apps which you can run them on your ios, ipad & iphone devices. Getting into cryptocurrency? Sign up with our Coinbase link, spend $100 and get $10 for free!